Forming your own LLC can be overwhelming and costly. Instead of spending potentially thousands on an attorney, you may want to do it yourself at a fraction of the cost using our state kit, available for just $34.95. This kit includes a discussion on the pros and cons of operating as a limited liability company, sample documents, operating agreement templates, and more. You may reach the Corporations Division by telephone by calling (401) 222-3040. The telephone lines are available from 8:30 am to 4:30 pm. This will bring you to a page where you scroll down until you come to “Domestic Limited Liability Company – Articles of Organization”, click here. 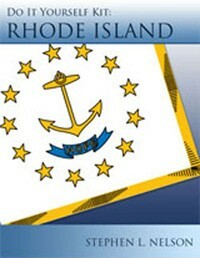 Rhode Island wants to know the name and contact information of the resident agent. The agent may be either an individual resident in this state, or a corporation, limited partnership or limited liability company, in each case either domestic or one authorized to transact business in this state. The address of the resident agent must be a street address, not a post office box. Accordingly, enter your name and address information onto the lines that ask for this information. If you live in Rhode Island, it is easiest to be your own resident agent. Check the box for corporation since this is how you will want the federal government to treat your LLC with respect to taxes. Where the Certificate of Organization provides a space for it, specify the address in which the LLC offices are located. If your LLC is going to be managed by its members (i.e. you), then check the first box. If the LLC is going to be managed by a non-owner(s), state his/her/their name(s) and address(s) after checking the second box. List the specified effective date, if it is later than the filing date. This date cannot be prior to, or later than 30 days after, the filing date. The form must be signed and dated by an authorized person. Processing lead times vary, but in general, it takes several weeks to get your LLC certificate back from the Secretary of State’s office.